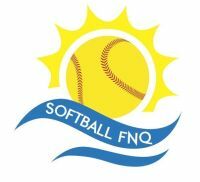 Softball FNQ would like to announce that QLD State Director of Umpiring, Darren Sibraa, will be conducting an Umpiring Clinic between Friday 25 November to Sunday 27 November 2016. Please forward expressions of interest to cairnssoftball@hotmail.com no later than 5pm Tuesday 22 November 2016 if you would like to attend this event. Further information regarding times exact days, venue will be forwarded once numbers have been confirmed. The clinic will consist of part theory/examination process and practical skills.